READ THE ARTICLE ON TAY AMADOR PUBLISHED BY THE USA PUBLICATIONS (Click here) AND THE CBCP MONITOR (Click here). Amador M. Tajanlangit, Sr. was born in the town of Miag-ao on April 30, 1911. His parents were Clasico F. Tajanlangit and Maria A. Mueda. He was the eldest of the nine (9) children. He grew up in their hometown and studied his elementary in Miag-ao Elementary School. He had his high school up to college studies in the University of San Agustin. As a CHILD He was a very jolly person and had a certain passion to make people happy in any way he could in order to ease people's pain and sadness. As a young boy he began to exhibit his gifts of being a ventrilloquist. He imitated the different sounds of animals the chicken, pig, birds, dogs, cat and even baby's cry. He used these gifts to entertain people and get their attention in order to gather them and give tell them stories of the different lives of saints. His sisters would remember him as he daily cooked for them in the afternoon in order to ease his mother's work in feeding her nine children in the evening. At an early age, he would buy a projector to show different religious fims with some ordinary movies. For those who had money, they would pay 5 cents and for those who had none, he allows them to enter for free and enjoy watching the movies. He used to gather (puyas) a local seed taken from their backyard and made them into rosaries. He used to give them away to anyone. When he grew up AS A MAN. He had a very good outlook in life that he was never known to get angry. He had always an understanding heart willing to forgive easily. He was a very kind and compassionate man that is always ready to help people even if he did not know them. His obedience to his parents was also exemplary even to the point of giving up his first love because his parents adviced him that they are not compatible as a partners in life. His zeal to make known the Blessed Mother to anyone is so outstanding that from childhood up to his last breath, he would always make people understand the importance of praying the Holy Rosary and devotion to Her. He had ready rosaries to give away when needed. During the 2nd World War, Brother Amador asked the Blessed Mother a favor that should he and the whole family survive this war, he would dedicate himself to serve God and the Blessed Mother. True to his promise, he began to enter into the apostolic work. 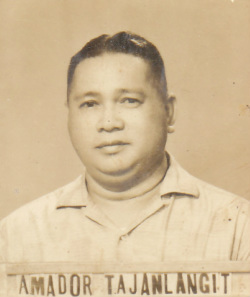 After he got MARRIED to Angeles O. Ledesma, he settled in Jaro and had five children with her. He was a very gentle, kind, understanding husband and father to his children. There was never a moment that the children saw their parents quarrelled. In disciplining their children, he was always calm, mild and kind in handling them. He was never seen to get angry. He entered into the APOSTOLIC WORK in the Bahrangay sang Virhen. After visiting Lipa, Batangas, it was observed that his passion to make the Blessed Mother known and to make people pray the Holy Rosary increased. When he knew that the Blessed Mother mentioned in that apparition that the message in Fatima is similar to that of the messages in Lipa, Batangas, he decided to be more agressive and more passionate in propagating the Fatima messages and preparing the people of the coming events foretold by our Mother in Fatima and La Salette because these two are all approved apparitions already. According to his colleagues, his exemplary love and service to the Blessed Mother would make him go to places not even reached by priests or even politicians in the province. He had a very eloquent, soothing and warm voice that would easily make people who hears him feel a certain intimate and depth of love for God and the Blessed Mother. Stories told by him was presented to the people young or old to cry or laugh as he swings his stories to move their hearts to enjoy and see the beauty and goodness of God and His Mother. Lives of Saints were always his inspirational motivation for many to imitate. 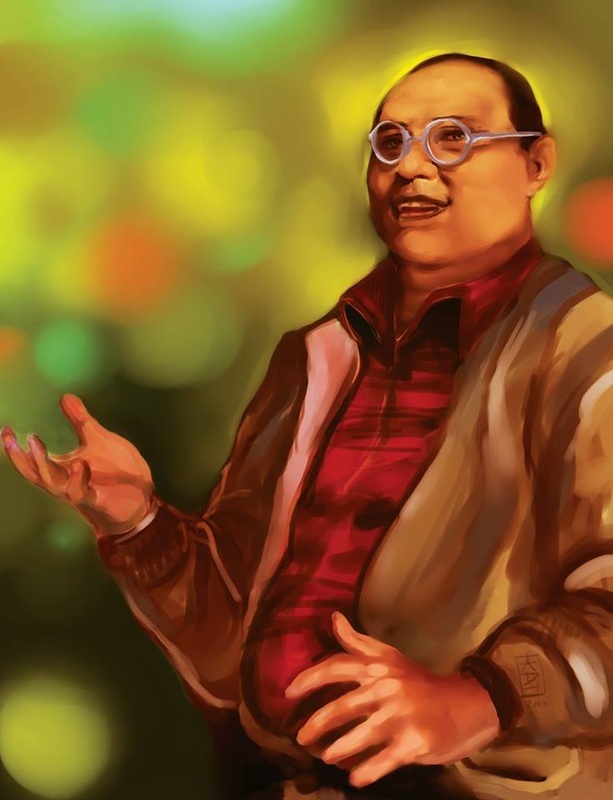 Wherever he goes, he would organize the Barangay sang Virhen and always begin his meetings with praying the Holy Rosary. His dedication in the service and love of our Mother was imprinted in the very hearts of his listeners that many would cry as he speaks of the sorrows of God and her Mother on the state of the people who are dying and about to die that goes to hell because no one prays for them anymore. He motivates people with such zeal that could move them to really pray the Holy Rosary because by this means, they can save souls. Many followed him in the service to inspire children and adults to really change their lives for the better. Criminals and rebels were not exempted from his convincing words to abandon sin. Many were captivated to resolve to change their lives and come back to the sacrament of matrimony, Holy Mass and confession. Massive conversions were found as he travelled the road of saving souls. His eloquence captured many people to join him in devoting themselves to work also for the glory of God and the good of souls. HIS VIRTUES are complete according to the winesses. He had all the gifts of the Holy Spirit as one would even describe him. Hearing him talk would make you feel in a simple but profound way that this man is trully an instrument of God because the joy in the service of God was always present in him. As one rich man witnessing his works said, "I am not worthy to tie even the string of his shoes." For is sincerity and unswerving faith on the teachings of the Catholic Faith, its sacraments and morals would strike his listeners move them to believe and accept immediately these truths. Many were converted from a very sinful life to a great turn about in the service of God and the Blessed Mother. His love for his work knows no bound. He continues to work wherever he is needed. With or without roads, he travels to places even impossible to reach by ordinary transportation. Rain or shine, high mountains and low, he goes to continue his evangelization. Rich or poor, he would always enjoy being with them. Time and place knows no limit for him. Where there are souls to save, people to teach, God and the Blessed Mother to be known, he thrives to go forth and reach the unreachable. His love of God and the Blessed Mother was so great that one witness asked him, how much do you love the Blessed Mother? Then he answered, "My love for Her is as deep as the ocean depth and infinite as the universe can be." Such striking answer would astound his hearers of such love so great that one man would, could and did express it in every acts of love in anyway as seen in his life and works. Knowing the limits of his capacity to serve God and propagate the Devotion to Our Mother and the Holy Rosary, he began to undertake another difficult and self-sacrifing move to make Her known. The limits of time and place to reach people made him decide to go into the use of media. Every 2:30 to 3:00 in the morning he wakes up to prepare himself for the 4:00 radio program daily. People would listen to him and wakes their children to join the prayer with Bro. Amador. Many living witnesses would remember how their parents began their day joining the beautiful, gracious and heart full of love in praying to God. Witnesses would say that as they bring with them their small transistors, they always pray with Bro. Amador because they felt, believe and observed that praying with him in the early dawn would bless their work and their whole day. This completes their day's work in the peace and love that is felt in their family and work. Knowing many could not afford to buy a transistor, he ventures to solicit from his friends to buy transistors and give them away to those poor people. MIRACLES WERE PRESENT during the later part of the Second World War, he was able to save a boy who was about to be beheaded by the Japanese. Bro. Amador taught the boy a simple and short prayer to use when in times of emergency. He told him to pray from his heart, "Oh Blessed Mother, please help me!" After his father was beheaded the boy was next to die but after he shouted with all his heart this short prayer, "O Mahal nga Virhen Maria, buligi ako!" a telephone call was received by the head of the military and ordered him to stop the beheading of the boy and set him free. Another miracle was when his Brother Eddie was about to go into a covert military operation to meet the rebel leader of the People's Army Against the Japanese (HUK). His brother told hiim that it will take a miracle for him to come back alive from that operation. Brother Amador gave him a rosary and a crucifix. He told him to go ahead with the operation and he told his brother to pray the holy rosary and that he will pray for them too. Trully the expected fight happened during the meeting of the central committee of the rebels. Several gun shots were poured to his brother and his companion. The nine rebels all died and only his brother and companion survived with 9 bullet holes found on all sides his brother's jacket. During his apostolate, several recorded miracles were made too. Incidents of cure on illnesses and even near death due to accidents that was spared were also attributed to him. When stopping fire to spread in the field of crops, where water is very far and impossible to get, an avid follower called for Tay Amador's help, as he was dead at that time. She shouted calling, "Tay Amador, tay Amador, please help me, I have no means of stopping the fire from burning my crop. Please do something to stop the fire!" In just a few minutes a dark cloud appeared like a large mat in the sky and down came the heavy rain that quenched the fire to nothingness and alas, the couple who cried for help was found dry even at the midst of the heavy rainfall. He was not spared from PERSECUTION . There were times when he was made to stop telling the people about the messages in Fatima and other apparitions such as La Salette too. They said, he was scaring people and this is not good because it will disturb their peace. He only wanted to inform the people of the coming events that as Our Mother has revealed in Fatima that if mankind will not change and amend their lives, another war will happen even after World War II because wars are allowed by God to punish mankind for their sins. He had also his passion to save souls because Our Mother also said that many go to Hell because they have no one to pray for them. On March 9, 1977, he DIED of a heart failure. It was recalled by his followers few hours before he was brought to the hospital that he received a letter coming from the hierarchy that they witnessed him to feel such great pain in his chest and just fell slowly on the floor. Immediately he was brought to the hospital. He never recovered and died. When he died, a miracle also was recalled. Since he was a stout man, he could not fit into the coffin. His sister told him to please help fit into the coffin because there is no available one for his size. Immediately after she said that, his body just fit into the coffin. There was a triple rainbow that was found to be present when his coffin was brought out from the Jaro Cathedral. A fine drizle was felt to pour on the people who joined the procession going to the cemetery. There were about approximately 10,00 people who attended his burial. Due to the limited funds they had, they only prepared their best in their meager state but surprisingly they wondered how they were able to feed the thousands of peole who attended it and no one complained they were left unfed. Multiplication of food was observed also by the family and helpers not only during the day of the burial but also during the daily bereavement. Many MIRACLES were attributed to his intercession while living and most especially when he was dead. It seems that his lifetime was not enough for him in helping people. Like St. Therese of the Child Jesus, he continues to help people in their temporal and spiritual needs. Above all, he had a special vocation most especially to the Filipino people in the fulfillment of the Triumph of the Immaculate Heart of Mary as some pious souls were enlightened. All these times, he was a WONDER WORKER of God but such life he had was so hidden, no one in his neihborhood suspected that they had a Great Saint at their midst. Such humility so profound, piety so fervent, zeal for souls so persevering, heart so loving, help always ready, faith so strong, joy radiating to many, hope inspiring hearts, words captivating souls, love so abounding, and service always giving, these are a few of what Amador M. Tajanlangit ,Sr. was in his life time as a child and until death.